Airdrieonians win 8-7 on penalties. Brechin City win 4-2 on penalties. Match ends, Stenhousemuir 1, Partick Thistle 4. Second Half ends, Stenhousemuir 1, Partick Thistle 4. Sean Welsh (Partick Thistle) wins a free kick on the right wing. Substitution, Stenhousemuir. Paul Nash replaces Liam McCroary. Goal! Stenhousemuir 1, Partick Thistle 4. Adebayo Azeez (Partick Thistle) right footed shot from the centre of the box to the centre of the goal. Assisted by Kris Doolan. Goal! Stenhousemuir 1, Partick Thistle 3. David Amoo (Partick Thistle) right footed shot from the centre of the box to the bottom left corner following a fast break. Substitution, Stenhousemuir. Allan Smith replaces Liam McMaster. Attempt missed. Kevin Nisbet (Partick Thistle) right footed shot from outside the box is close, but misses the top right corner following a fast break. Attempt saved. Adebayo Azeez (Partick Thistle) header from the centre of the box is saved in the centre of the goal. Corner, Partick Thistle. Conceded by Colin McCabe. Attempt saved. Ziggy Gordon (Partick Thistle) left footed shot from long range on the right is saved in the top centre of the goal. Attempt saved. Kevin Nisbet (Partick Thistle) header from the centre of the box is saved in the centre of the goal. Goal! 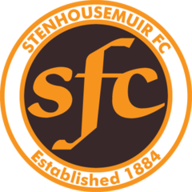 Stenhousemuir 1, Partick Thistle 2. Liam McCroary (Stenhousemuir) right footed shot from the centre of the box to the bottom right corner. Assisted by Mark Gilhaney with a cross. Corner, Stenhousemuir. Conceded by Callum Booth. Attempt missed. David Amoo (Partick Thistle) header from the centre of the box is too high. Corner, Partick Thistle. Conceded by Liam McMaster. Attempt missed. Ryan Edwards (Partick Thistle) right footed shot from the centre of the box is close, but misses to the right. Foul by Liam McCroary (Stenhousemuir). Substitution, Partick Thistle. Adebayo Azeez replaces Mathias Pogba. Attempt saved. Sean Welsh (Partick Thistle) right footed shot from outside the box is saved in the top left corner. Foul by Vincent Berry (Stenhousemuir). Attempt missed. David Syme (Partick Thistle) left footed shot from outside the box is just a bit too high. Corner, Partick Thistle. Conceded by Ross Meechan. Attempt blocked. Kris Doolan (Partick Thistle) right footed shot from the left side of the box is blocked. Attempt missed. Alan Cook (Stenhousemuir) left footed shot from outside the box is close, but misses the top left corner from a direct free kick. Vincent Berry (Stenhousemuir) wins a free kick in the attacking half. Corner, Partick Thistle. Conceded by Liam McCroary. Second Half begins Stenhousemuir 0, Partick Thistle 2. First Half ends, Stenhousemuir 0, Partick Thistle 2. Corner, Partick Thistle. Conceded by Colin McMenamin. Corner, Partick Thistle. Conceded by Fraser Kerr. Attempt missed. Vincent Berry (Stenhousemuir) left footed shot from outside the box misses to the right. Attempt saved. 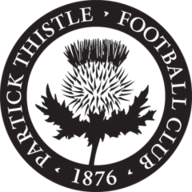 Mathias Pogba (Partick Thistle) right footed shot from outside the box is saved in the top left corner. Attempt saved. Steven Lawless (Partick Thistle) left footed shot from outside the box is saved in the bottom left corner. Attempt missed. Ryan Edwards (Partick Thistle) right footed shot from outside the box is too high. Attempt missed. Alan Cook (Stenhousemuir) left footed shot from the centre of the box misses to the left. Corner, Stenhousemuir. Conceded by David Crawford. Attempt saved. Liam McCroary (Stenhousemuir) header from the centre of the box is saved in the top centre of the goal. Foul by Ziggy Gordon (Partick Thistle). Attempt missed. Kris Doolan (Partick Thistle) left footed shot from the left side of the box is just a bit too high. Attempt missed. Mathias Pogba (Partick Thistle) right footed shot from outside the box is close, but misses the top left corner. Foul by David Syme (Partick Thistle). Alan Cook (Stenhousemuir) wins a free kick on the right wing. Corner, Partick Thistle. Conceded by Kieran Millar. Attempt missed. Colin McMenamin (Stenhousemuir) header from the centre of the box is close, but misses to the left. Goal! Stenhousemuir 0, Partick Thistle 2. Sean Welsh (Partick Thistle) converts the penalty with a right footed shot to the bottom right corner. Penalty Partick Thistle. David Amoo draws a foul in the penalty area. Penalty conceded by Ross Meechan (Stenhousemuir) after a foul in the penalty area. Goal! Stenhousemuir 0, Partick Thistle 1. Mathias Pogba (Partick Thistle) header from the centre of the box to the top left corner. Assisted by Callum Booth. Attempt missed. Mathias Pogba (Partick Thistle) header from the centre of the box is just a bit too high. Corner, Partick Thistle. Conceded by Jamie McCormack. Ziggy Gordon (Partick Thistle) wins a free kick in the defensive half. Attempt missed. Mathias Pogba (Partick Thistle) right footed shot from the centre of the box is close, but misses the top left corner. Attempt blocked. Ziggy Gordon (Partick Thistle) left footed shot from outside the box is blocked. Corner, Partick Thistle. Conceded by Mark Gilhaney. Attempt missed. Steven Lawless (Partick Thistle) left footed shot from the left side of the box is too high. Attempt missed. Liam Lindsay (Partick Thistle) right footed shot from the centre of the box is close, but misses to the left. David Amoo (Partick Thistle) wins a free kick in the defensive half.